Please note! SWCC IS NOT OPEN TO THE PUBLIC without an appointment or an event reservation. All tours, visits, and donation drop-offs must be scheduled in advance. Whether you’re an Arizona resident or visiting from out of town, our Walk with Wildlife tour of our Nature Center is a unique opportunity to learn about our magnificent native wildlife. Guided tours allow you to get an up-close view of some of our permanent sanctuary animals as we share their compelling stories. Southwest Wildlife Conservation Center (SWCC) offers these Walk with Wildlife guided group tours of our conservation center by reservation only, so you must be booked in advance and space is limited. To register for a Walk with Wildlife tour, please check the Events Calendar under the Visit Us tab (above) for available dates and times. These guided tours are not offered every day of the week, so be sure to check the calendar. The tour takes place completely outside. Dress for the weather, bring water, and wear close-toed shoes. There are no food options offered onsite and picnicking is not available without an appointment. Guests (especially little ones) are welcome to have snacks and drinks during the tour. We recommend 5-10 minutes early and allow 2 hours for your experience. If you need additional information please contact our Education Department at (480) 471-3621 or email education@southwestwildlife.org. SWCC is a 501(c)(3) nonprofit organization. We receive no state or federal funding. 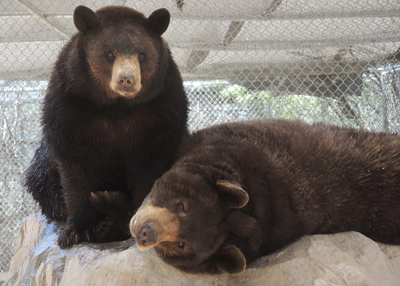 Tour fees go to help feed and care for the animals at our center. 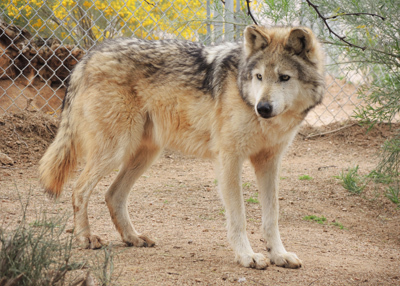 As a holding facility for Mexican gray wolves, Southwest Wildlife is one of the few places to catch a rare glimpse of these endangered animals.